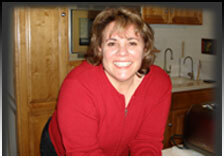 Sally started training and preparing for her voice over career during the last few years of her firefighting career. 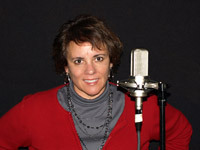 As a voice over artist she produces commercials, corporate training and narration, internet podcasts, internet games, e learning modules, audio books and phone systems. " I have a passion for making copy come to life, reaching people emotionally with its message." Sally retired from firefighting after 26 years of service in a Seattle suburb next door to Seattle Tacoma Airport. Her firefighting career began as a volunteer in 1981 and she switched to fulltime firefighting in 1986. She is thankful for the opportunity to serve the community where she attended junior high and high school. Due to a knee injury sustained at a training exercise, she retired in 2008. Beginning in 2007, Sally remained loyal to serving her community by raising and training puppies for Guide Dogs for the Blind. She raised "Lira" for 18 months before Lira returned to the facility for formal training. The yellow lab went through all ten phases of the training before Sally was informed that the pup was being career changed. Lira returned to Sally's care and is now working as a pet therapy dog at a children's hospital. Her hobbies include but are not limited to golf, baseball, gardening, travel and reading. "I was so impressed with her delivery of dialogue. And her delivery on Cindy's lines was awesome! Be sure to tell her she is terrific!"